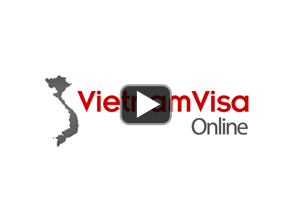 Why choose Visa on arrival Vietnam? Service Fee: Pay to the agent for processing your visa approval letters from Vietnam Immigration Department. Stamping Fee: Pay directly to Vietnamese Immigration officers at Vietnamese airport in cash (in USD or VND), no credit cards are accepted. When applying for Vietnam visa upon arrival, tourists should make sure that all the informations filled in the online visa application is correct. Once the Visa approval letter is issued, no amendment can be made. And if you wish to make any change, you must apply for a new one. You can use visa-on-arrival at: Noi Bai Airport (HAN - Hanoi), Da Nang Airport (DAD), Tan Son Nhat Airport (SGN - Ho Chi Minh City). Passport must be valid for at least 6 months. Two (02) passport photos size 4 x 6 cm. Cash (in USD or VND): pay for visa stamp fee (while showing you approval letter) to immigration officer at Vietnam airport to picking up your visa. Entry/Exit form: download, print and fill in to save your time at the Vietnamese airport. Photos and signatures are required.